Alice is a daughter of "Leo" and "Pricilla" and is co-owned with Steve Kelly of "Puffin" Cresteds. 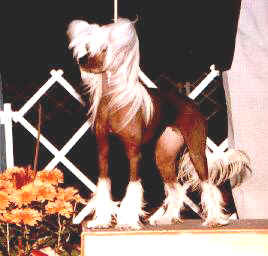 She completed her championship very easily with Best of Breeds and Group placements. Alice is the dam of several champions.